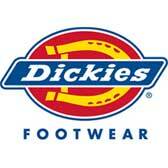 Dickes boots are made with premium products and are intended to surround your feet with quality, comfort and style. These boots are made in various designs and colors and are created with different features to fit your needs perfectly. Their most popular styles of boots include slip-on, 6 inch work boots or a wedge heel boots. Steel toe or soft toe, black brown or wheat, they have you covered. Made with premium leather, they are comfortable to wear and easy on the eyes. Whatever features you need or desire, Dickies will keep you satisfied with their exceptional designs and functionality of their boots. They put the same quality into their boots as they do their apparel, so trust in Dickes and try their outstanding quality of boots today.